Founded in San Francisco more than 100 years ago, Anchor Brewing & Distilling remains an innovator in the beverage industry. Fritz Maytag, the pioneer of modern craft brewing, became the instrumental force behind the company's resurrection in 1965, and sparked the modern craft spirits movement in the United States. 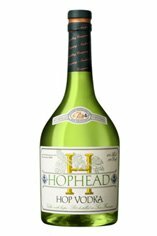 Inspired by the mesmerizing aroma of hops that permeates the brewery and distillery, Head Distiller Bruce Joseph and Brewmaster Mark Carpenter, two of the original visionaries of the company, developed Hophead Vodka using small copper pot stills and two varieties of hops. The result is a vodka built on flavour, but not a "flavoured" vodka. 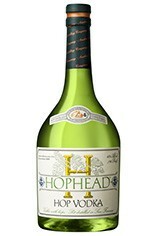 This craft spirit captures the fresh, aromatic character of Yakima Valley hops with notes of pine and citrus, but without the typical bitterness. It’s unfiltered to retain maximum flavour and mouth-feel.